Minivans used to be the go-to vehicles for busy families, but today they’ve largely been replaced in that role by larger crossover utility vehicles. So what happened? Well, the truth is, if you can put aside your silly image ideas that SUVs somehow make you look more adventurous, minivans are probably better for most families. Sliding doors, relatively low-and-carlike ride heights, and aerodynamic box-on-wheels designs add up to something that still arguably makes more sense than a utility vehicle and its off-road airs. 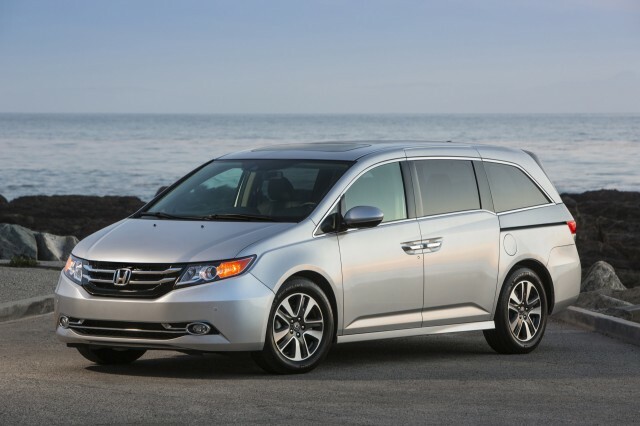 And two of the best-driving, well-packaged models on the market are the Honda Odyssey and Toyota Sienna. There’s not really all that much to be said about these vans in styling and design, although objectively, they’re a lot better-looking and more finely detailed than the minivans of a decade or two ago. 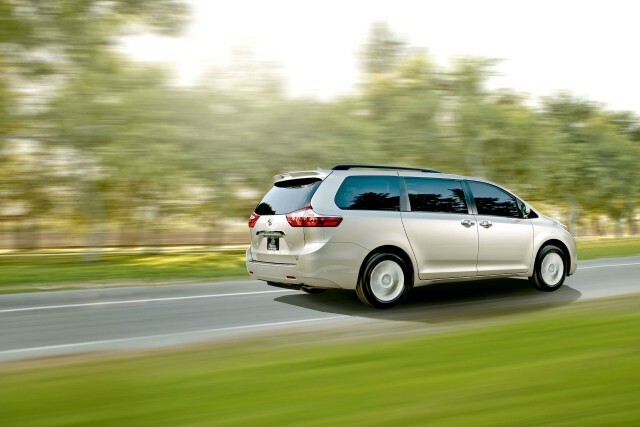 The Sienna keeps to smooth sheet metal and smooth flanks, while the Odyssey has more sculpted sheet metal up in front, as well as a “lightning bolt” feature where the beltline drops lower near the rear. That allows those in the third row a better outward view—and the driver a little more outward visibility, perhaps—but it’s most for visual effect. Inside, both of these models are just elegant enough yet oriented toward family use. The Toyota was recently updated with most soft-touch surfaces, and it resulted in a boost to the overall ambience of the cabin. These vans are cetainly not clumsy or floaty; both provide sprightly straight-line performance coupled with surprisingly nimble, almost athletic handling. In the Odyssey, a 248-horsepower, 3.5-liter V-6 works confidently with a 6-speed automatic transmission, while the Sienna gets an uprated engine this year with a 296-hp, 3.5-liter V-6 and 8-speed automatic. The Sienna doesn’t handle with the same crispness as the Odyssey, although both of these models have very well sorted steering. Ride quality is great in either case. All this said, the Sienna does have one advantage that might be important to some shoppers: All-wheel drive is available throughout the lineup. Packaging is everything to some minivan shoppers, and there’s really not much if any disappointment here in these respects. Neither of these models have a second row that folds quite as neatly into the floor as that of Chrysler’s minivans, yet it can be removed in the Sienna and we find the generously apportioned second row in the Odyssey to be one of the most comfortable in its class. 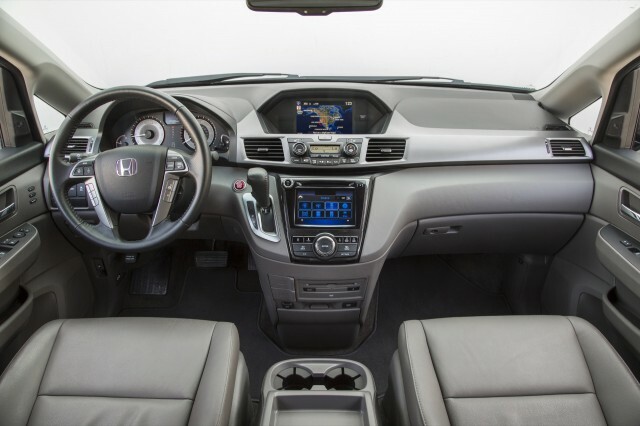 The Honda also comes with a special so-called "wide mode" that lets you move the second-row seats outward to the edges, although in both of these models you get fore-aft adjustment in the second row to fine-tune leg room. And there’s a little more flexibility in where the child-safety seats are placed in the Odyssey; it has up to six tether locations and five LATCH locations. The Odyssey has been a safety standout, with excellent crash-test ratings all around; although with its available forward collision warning system it only complies with the IIHS "Basic" front crash prevention standard, thus it’s no longer a Top Safety Pick+ choice from that agency. The Sienna does manage that designation with its available pre-collision protection system, although it’s only earned "Acceptable" ratings in the IIHS small overlap test and a four-star NHTSA frontal crash rating. All together, we think that adds up to safety for both of these models that's very good, but not perfect. 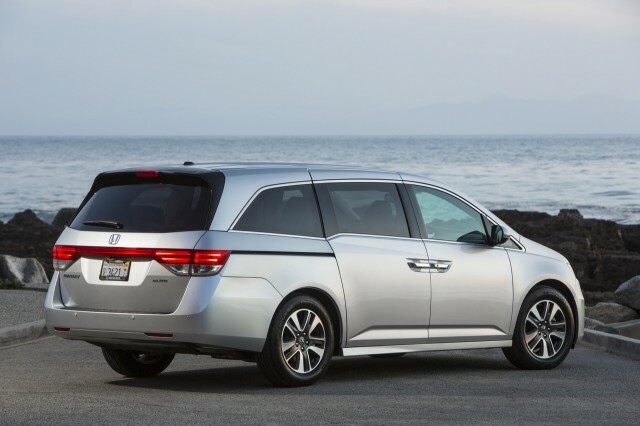 In features, the Honda Odyssey offers a lot, but sticker prices are a bit higher than the Sienna if you want to stick to one of the more affordable models in the lineup. Top items like HID headlamps, blind-spot monitors, a wide-screen entertainment system, and a hard-drive-based music system are only offered in top models, and one of the coolest features in the Odyssey, a built-in vacuum, is only offered in the Touring Elite model. Most shoppers will be fine with the mid-level Odyssey EX, which includes tri-zone climate control, heated mirrors, second-row sunshades, and the useful LaneWatch camera system that shows a wide side view of the vehicle when you flick the turn signal lever. 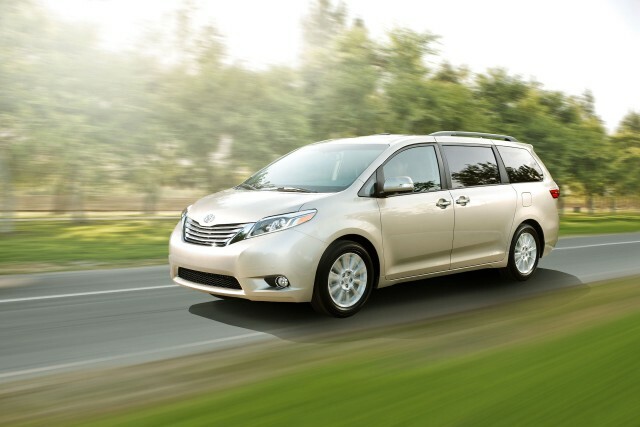 Top trim levels of the Toyota Sienna also have a luxury-car ambience, but whether you look at the more affordable models or the highest Limited model, it offers a little more for the money. At the top of the lineup, in that model, there’s a sliding center console, JBL sound, and a dual sunroof with overhead console; and you can opt for the Entune mobile-connectivity suite or an entertainment system with dual wide screens. Both vans top out in the mid-to-upper $40,000s; yes, it’s the same price as a well-equipped mid-size crossover, but it’s a handier space to balance for a big family or flexible cargo concerns. As for which one we’d choose? This is another close call. 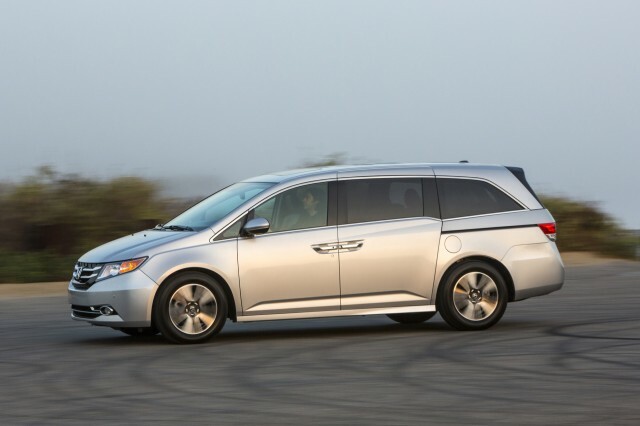 If you want our gut instincts: the Sienna is better in base versions and all-wheel drive, the Odyssey has a better ride. We have sent your request for price quotes on the 2016 Honda Odyssey and 2016 Toyota Sienna to the dealers you requested. They should be in touch shortly. 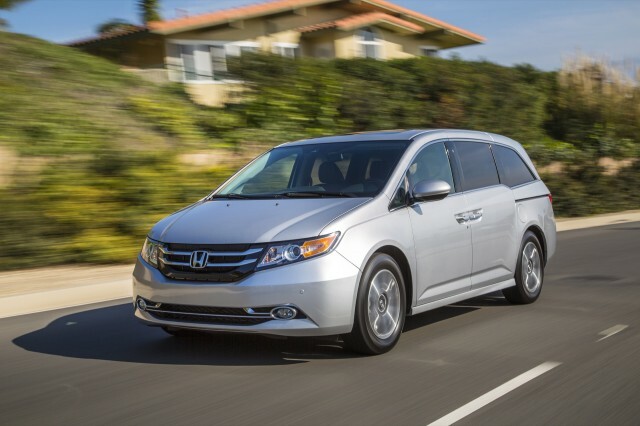 Your request for a fast, free price quote on a 2016 Honda Odyssey and 2016 Toyota Sienna is in process. The CarsDirect Dealer(s) listed below will contact you shortly to discuss your request and to provide a quote.